kSafe is a safe that comes in a variety of colors they are all clear with different colored lids I got the Green Lid +Clear Base size medium that retails for $49 you can choose from many, extra-large, extra-base and more. There are many ways that you can use this it can be used as a candy jar, store sweets, cell phones, TV remote, and more. It will help with willpower if you’re trying to lose weight, keep cell phones away from kids if they are grounded, lock up any electronics to get kids outside and moving, and so many more things you can do with this. 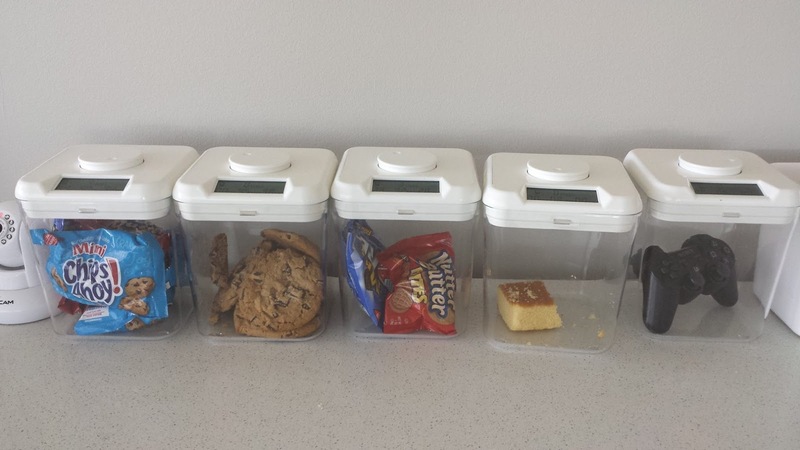 My Opinion: I like how easy it was to use this in my kitchen I put sweets in there because I wanted to try something different on trying to keep myself accountable for my weight loss but I do like the idea of using it for cell phones because I could use a day off electronics occasionally it was easy to program and unlock.